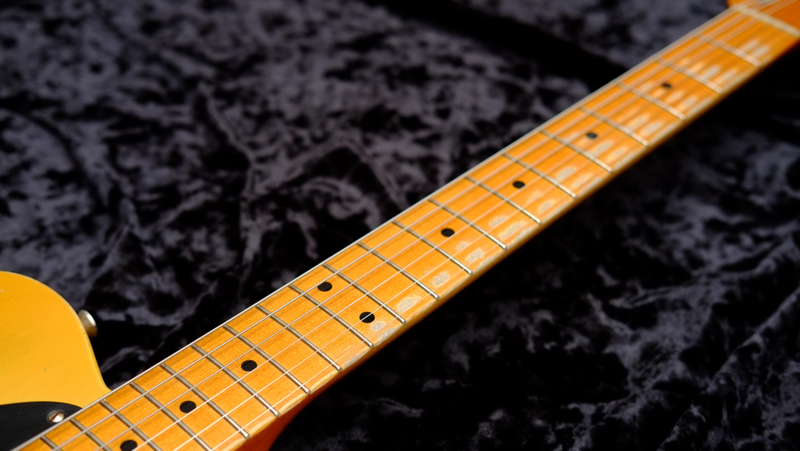 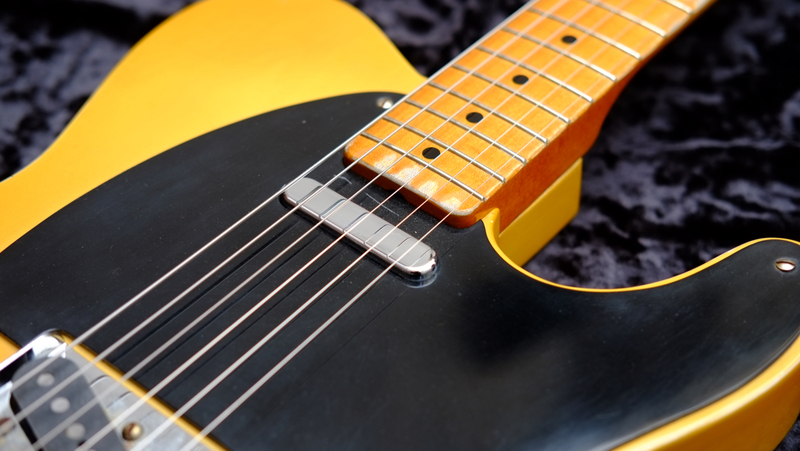 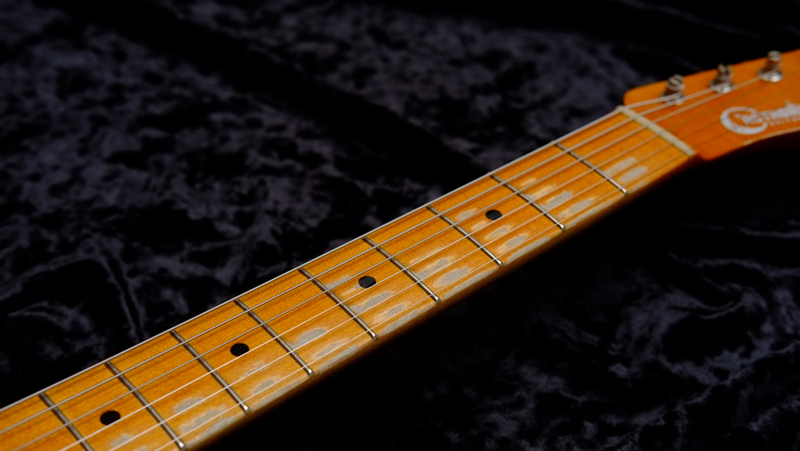 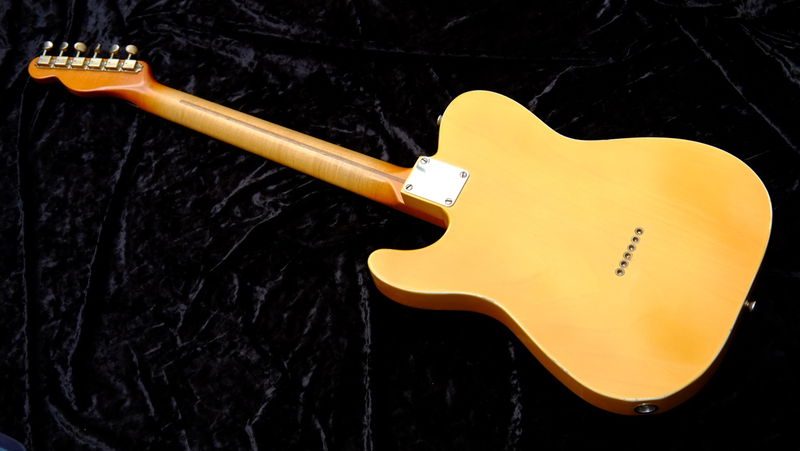 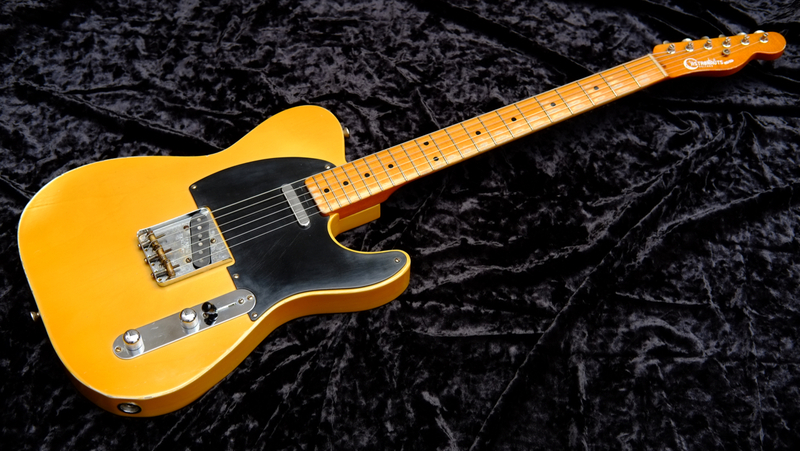 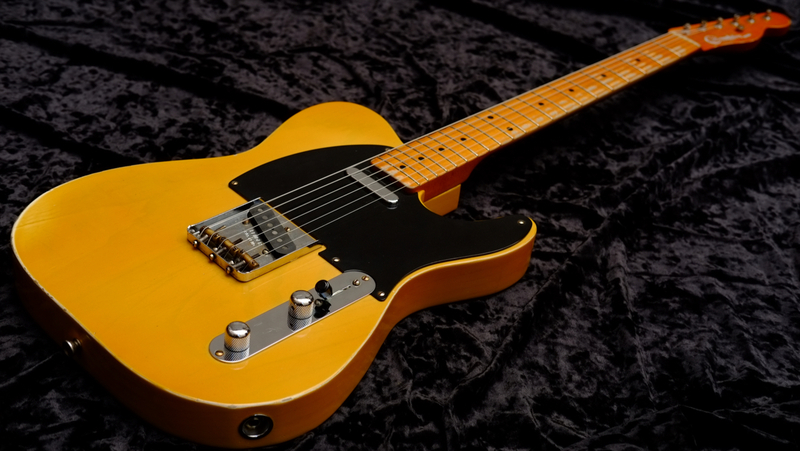 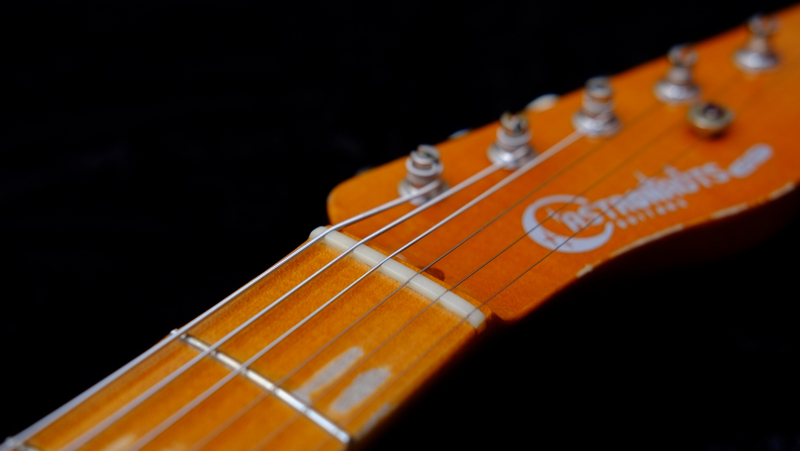 It is a telecaster that reproduced the specification of ’51 years in the Black Guard period. 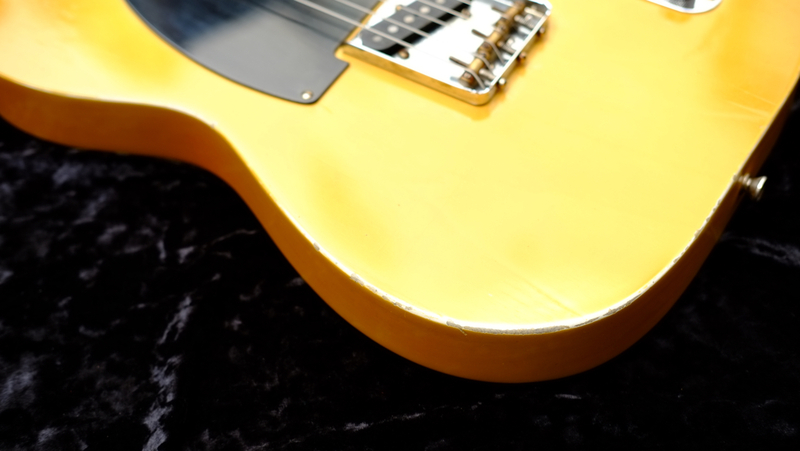 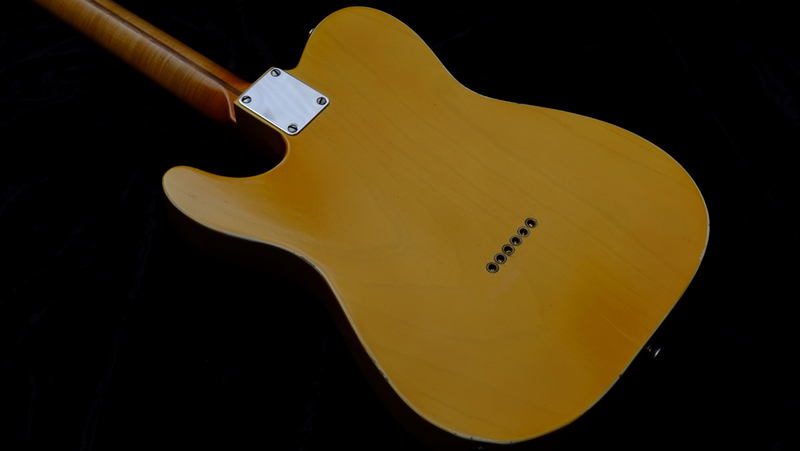 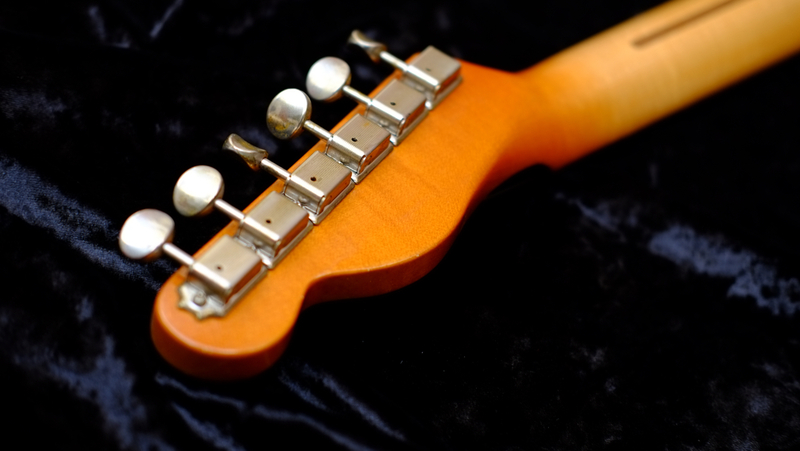 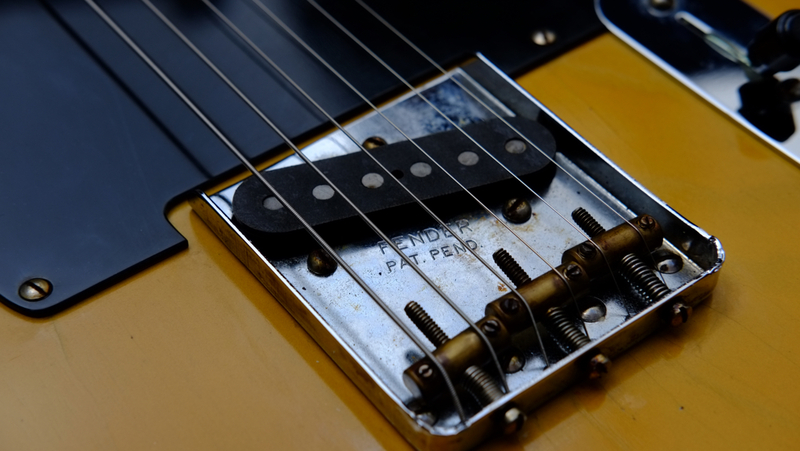 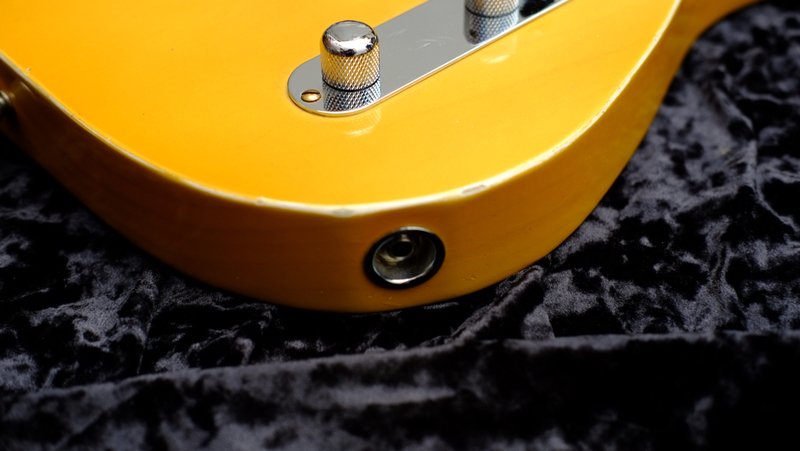 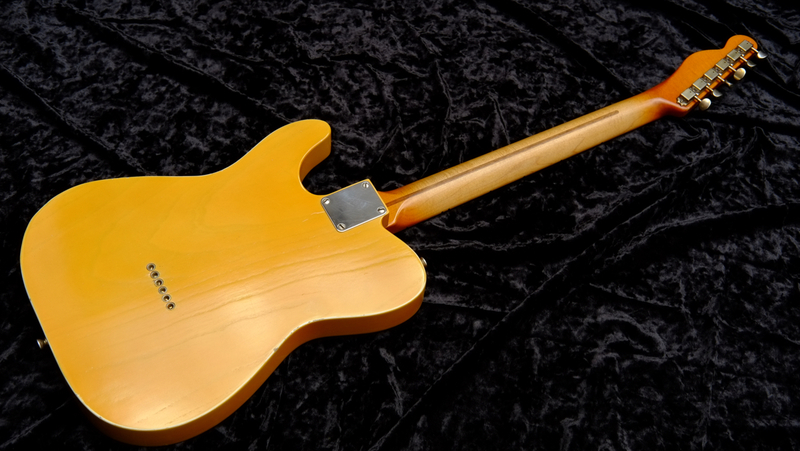 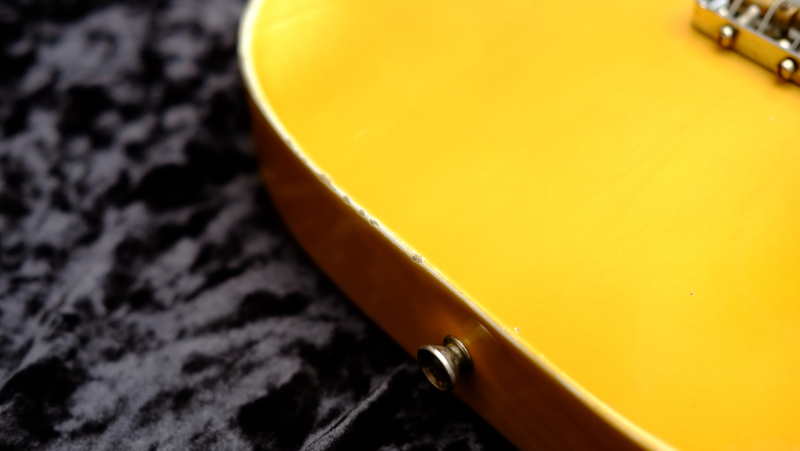 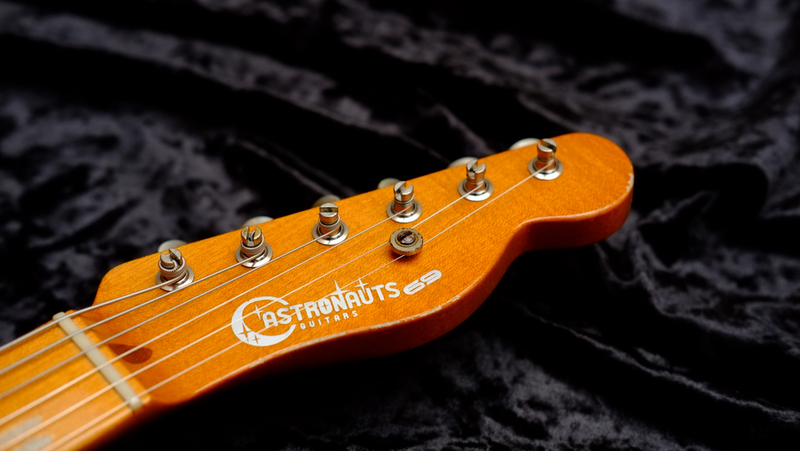 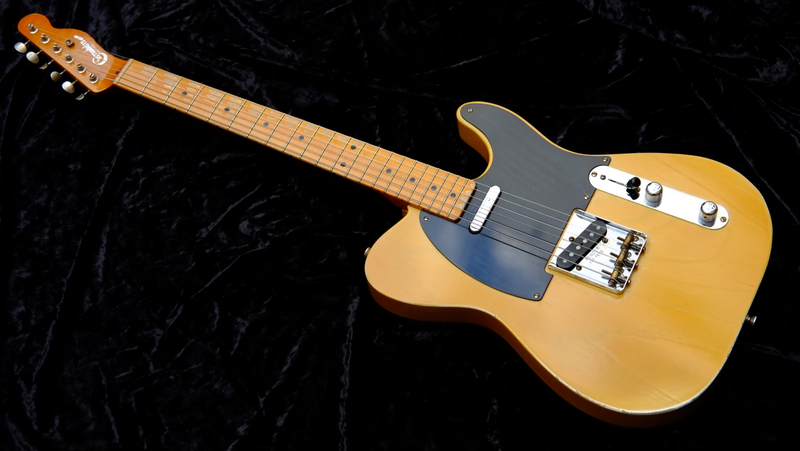 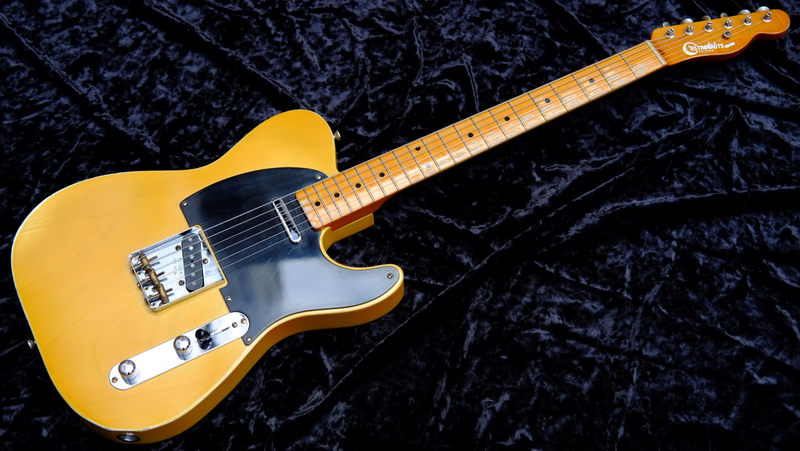 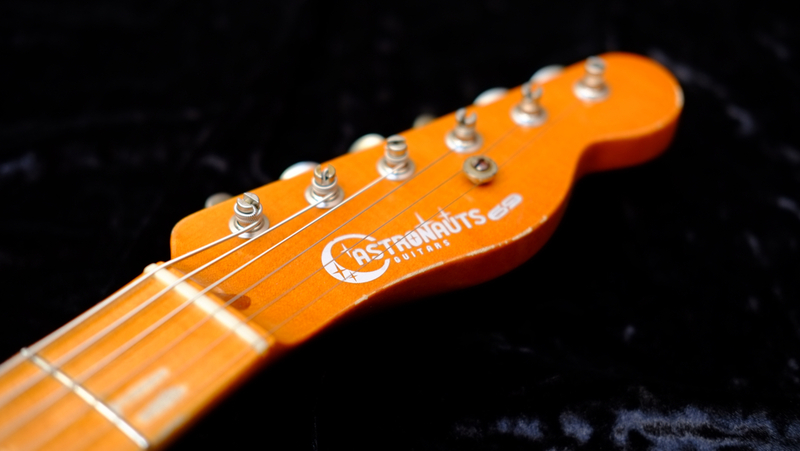 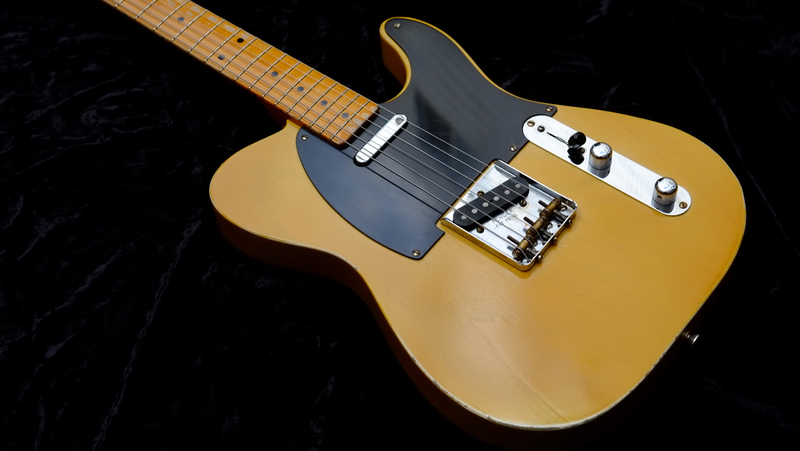 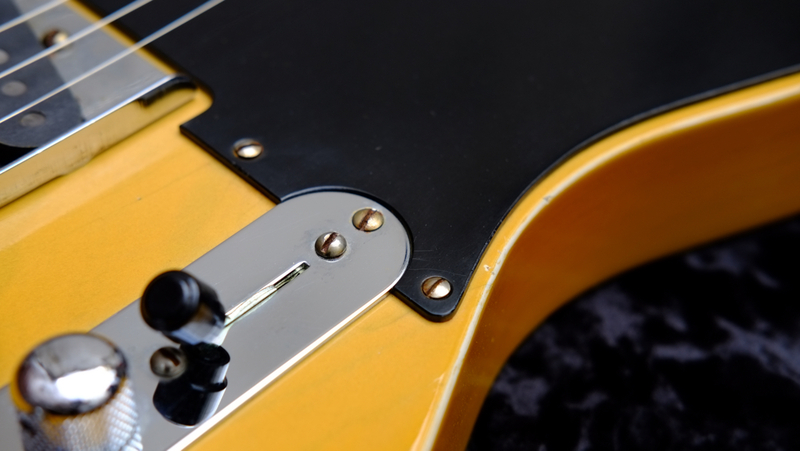 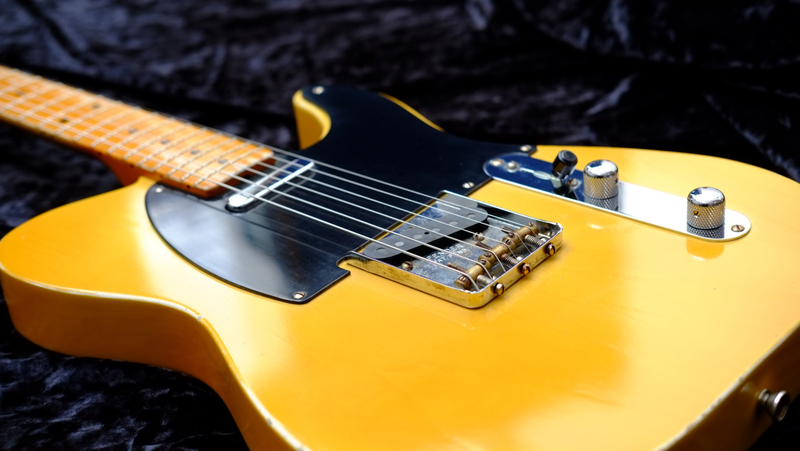 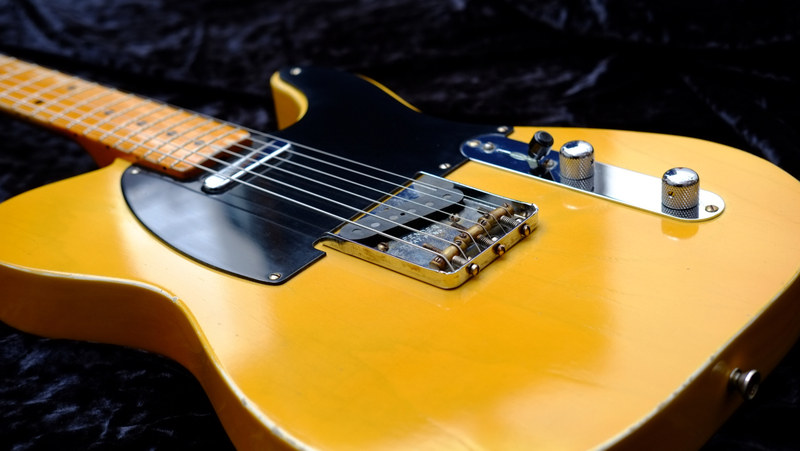 Many of the telecasters currently on the market are produced based on the specifications around ’52, but before that, seeking an original sound that is fatless with fat until ’51, making it with particular attention to detail . 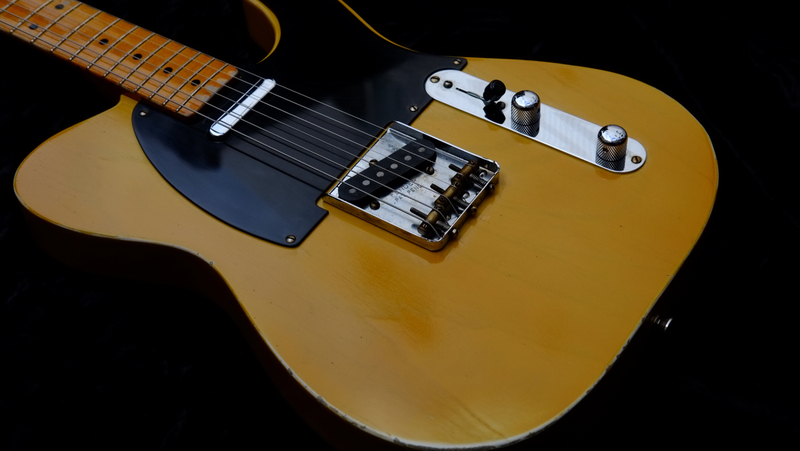 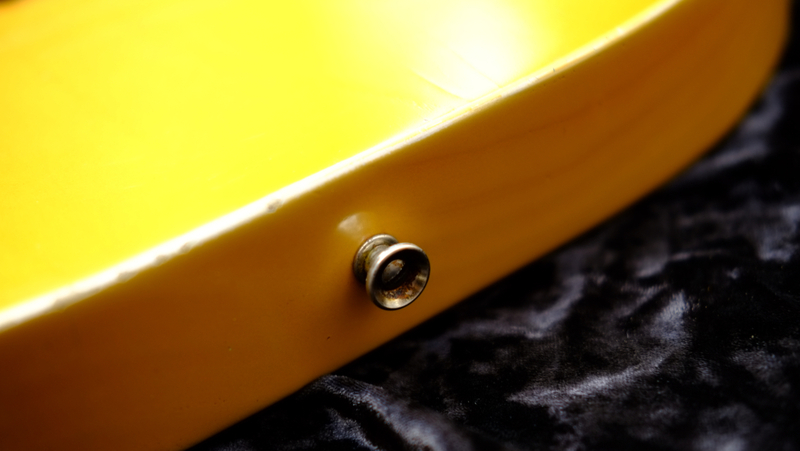 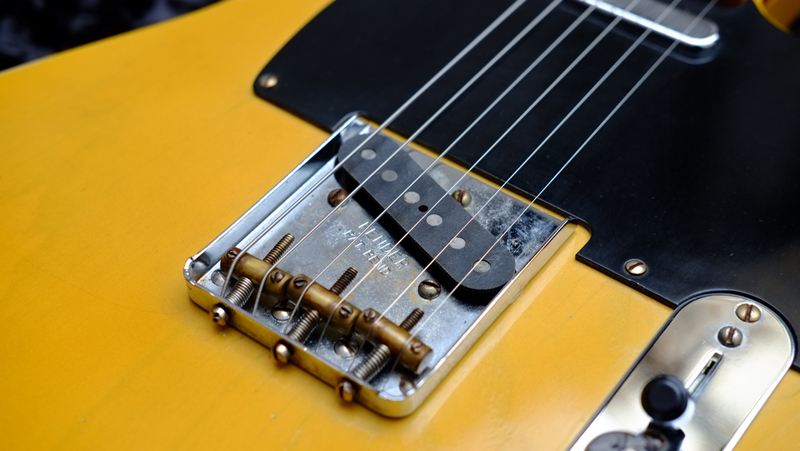 Wiring is modern 3 WAY, but the overracked Bakelite pickguard, the hard-lock maple with clogged eyes, the thick neck of V shape, the R around the body is smaller than the telecaster in recent years, it is angled small, with graphite The wick is dyed octopus wrapped with wax around the rear pickup has selected the coil wire of AWG 43 according to the specification at the time, realizes a thick three-dimensional sound. 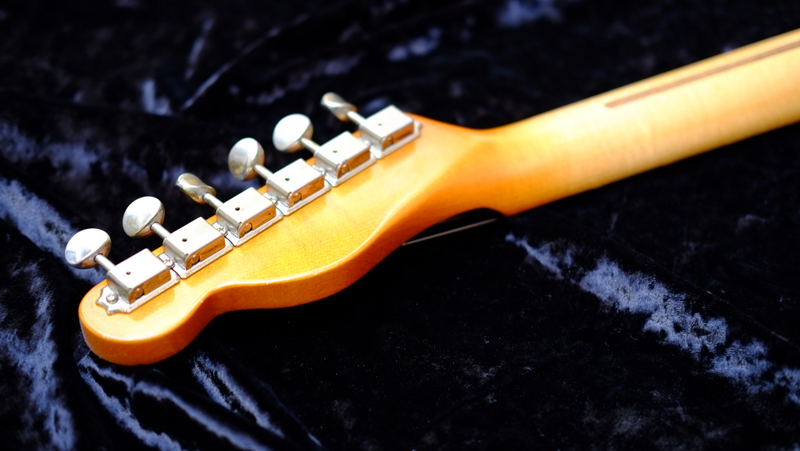 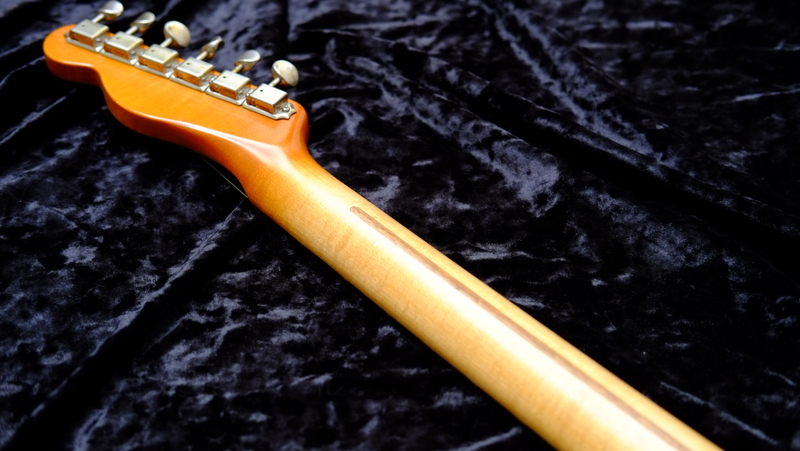 Other specifications such as minus type screws (plus type used in part according to the age), driving type jack cups, minus type truss rod nuts etc, detailed specifications at the time until detailed specifications are followed, We have finished by adding relic process to ultra thin paint not using sanding sealer.